Kauai has always been my favourite of the Hawaiian Islands, primarily because of its unspoiled majestic natural beauty, but also because of its Elvis ties. 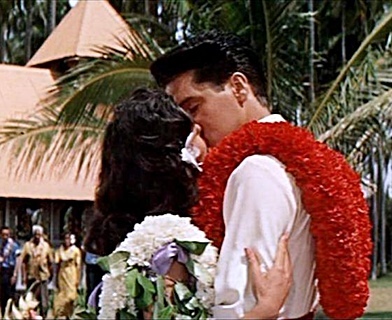 Elvis spent quite some time on the island vacationing, and filming Blue Hawaii - in fact the last 20 minutes of the movie was shot on and near the grounds of the Coco Palms. 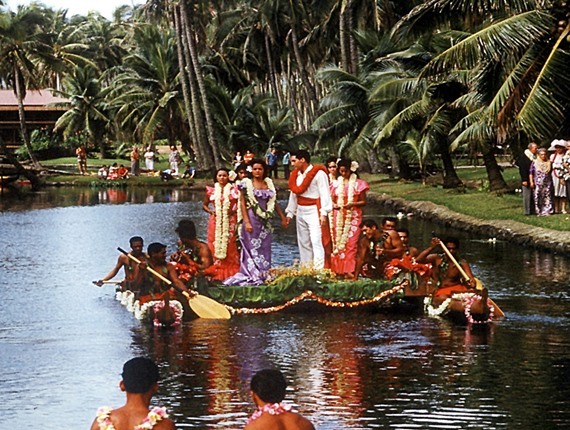 I was most eager to see this paradise where Elvis sang The Hawaiian Wedding song whilst floating up the lagoon on a floral canoe with co-star Joan Blackman. 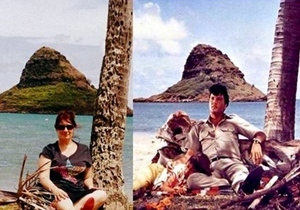 Below Sanja brings us her fabulous 2015 report on one of Elvis' most famous Hawaiian destinations. 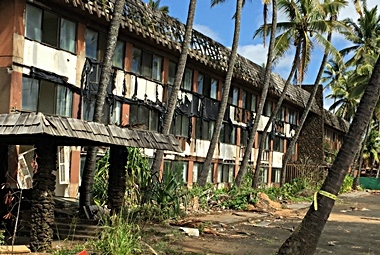 May 2016 - Coco Palms Demolition moves closer: In Hawaii last week it was reported that Coco Palms developers have secured funding for demolition. Private Capital will foot the bill for demolition of the resort, which was destroyed during Hurricane Iniki. The final price of construction is almost $3.5 million. Coco Palms officials want to breathe new life into the resort. Once the closing papers are in order, demolition will start immediately, Pang added. The current plan is to open the hotel during the first quarter of 2018. 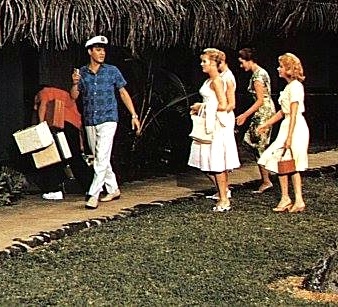 Elvis spent quite some time on the island vacationing, and filming Blue Hawaii - in fact the last 20 minutes of the movie was shot on and near the grounds of the Coco Palms. 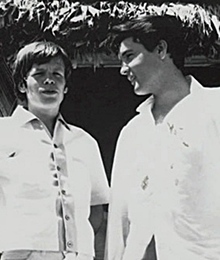 I was most eager to see this paradise where Elvis sang The Hawaiian Wedding song whilst floating up the lagoon on a floral canoe with co-star Joan Blackman. 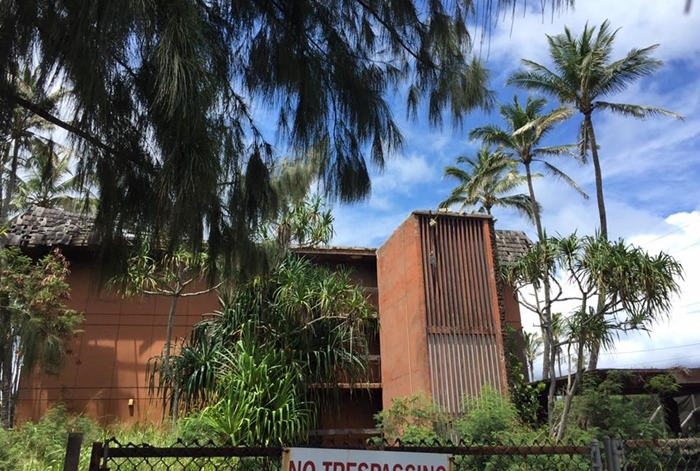 So on asking some of the locals where I could find the hotel, I grabbed myself a rental car and drove out to Kuamoo Road in Wailua to see what was once the world’s most famous Polynesian resort. On researching the resort before my visit, I found some very interesting history on a grand old hotel – in fact the oldest hotel on the island of Kauai. Originally opening in January 1953 with only 24 rooms, the hotel quickly became Kauai’s premier hotel and attracted the likes of Frank Sinatra and Bing Crosby - who were shooting Hollywood movies on the picturesque island. The Coco Palms was quickly becoming “the place to see and the place to be seen” in the late 50’s and early 60’s, with not only movie stars as its guests, but also royalty of Japan and other noted celebrities of the era. 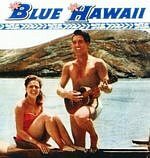 But the hotel was really ‘put on the map’ when Elvis filmed the movie Blue Hawaii. He had arrived in Hawaii on March 18, 1961, to prepare for a charity concert that he was performing on March 25 to raise funds for the Arizona Memorial at Pearl Harbour. He arrived at the recording studio on March 21 to start the recording of the film's soundtrack and three weeks later filming had wrapped, with later scenes to be completed at Paramount Studios. 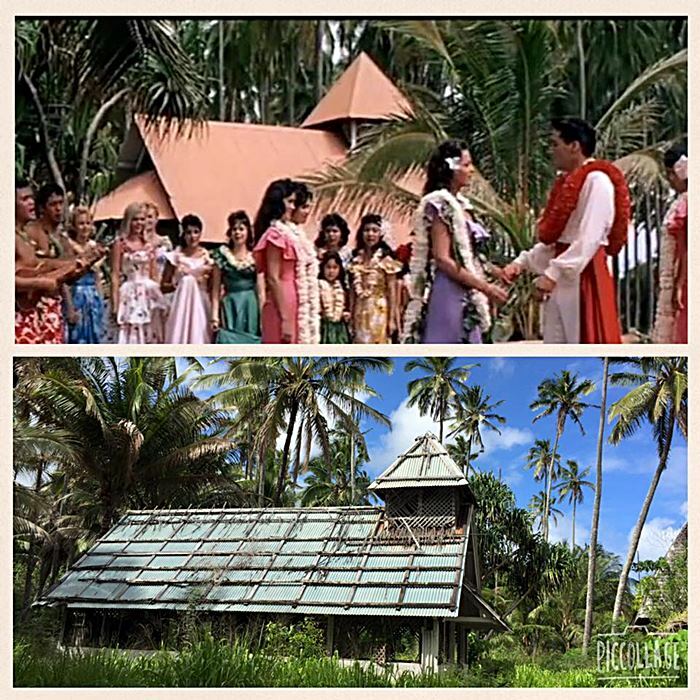 Ever since Blue Hawaii was released, the Coco Palms Resort held over 500 wedding ceremonies on its grounds, annually. 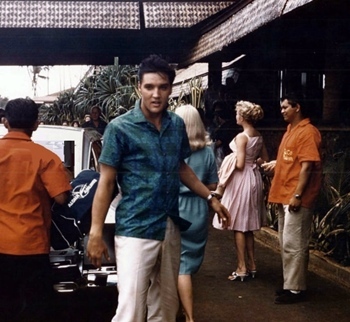 A first class luxurious hotel, set amongst acres of coconut trees and right on the beach, it was no wonder Elvis also spent time not only filming on location here, but also vacationing with wife Priscilla and also daughter Lisa Marie. Elvis would always stay in Bungalow #56 which overlooked the resorts beautiful lagoon. 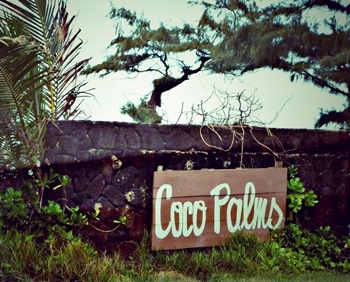 Unfortunately the splendorous Coco Palms Hotel was ruined in 1992 by Hurricane Iniki and has been closed ever since. 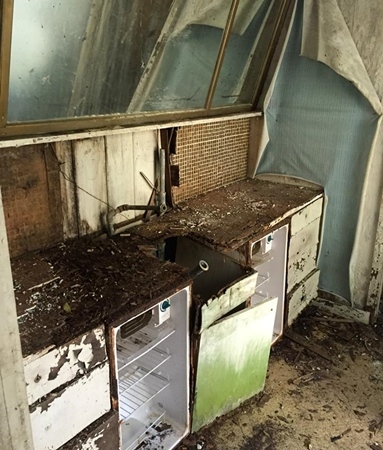 I was aware of that before arriving at the site, but I wasn’t prepared for the condition that it was in – for it had been left as it was 20 years earlier after the hurricane – decrepit, dilapidated and a rotting mess. And to top it off, a fire also tore through the hotel on 4th July 2014. Squatters over the years had come and gone, the once magnificent gardens were now a mass of overgrown weeds and what once must have been a colourful oasis and a hive of social activity, was now just a skeleton of broken buildings. I had heard that tours were still available but during my 3 prior visits, I always seem to just miss out on tour times. And it looked like this year would be same. Next tour Monday –and when was I leaving? Monday! Thankfully, one of our EIN members saw my EIN blog from Kauai and gave me contact details for the terribly kind and affable Bob Jasper, who did indeed give up his Sunday to give me a private tour of the hotel. And Bungalow #56 was first on my list! On touring the grounds with Bob – the site is over 50 acres – there were many flashbacks of Blue Hawaii, so many places looked familiar. The entrance where Elvis and the girls pulled up in the car, the dining room/bar where the fight scene with Garvey was filmed, the fire pit, the lagoon, and of course the bungalows where Elvis and the girls filmed a few scenes. The first bungalow was the one used in the movie. No.56, where Elvis stayed, was two doors down. 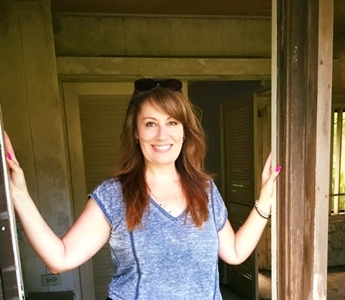 Yes it was dilapidated, rotting and in an awful state, but even the 3,000 mosquitos doing the tour with me couldn't overshadow the fact that I was standing in Elvis Presley’s bungalow! It was very small, and entry room and a bedroom with a bathroom attached. The huge shell sink was long gone and the walls and roof were eroding away, but if you closed your eyes for a minute you could image how it looked 54 years ago. Outside was a lava rock shower that used to be screened by a bamboo fence and surrounded by what would have been a lush garden. On passing through what was left of the bathroom, I noticed there were still a few tiles on the wall. Bob informed me that they were the original tiles and they were all coated in 24carat gold. Not only that, but he had recovered most of them and fans can own their own little piece of Coco Palms! (more on that later). We continued our tour through the grounds, and unfortunately it was a bit of a case of “that’s where so and so used to be” – 3 swimming pools, the grand and opulent reception hall (that was recently reduced to land level in the fire) – and I was astonished to learn there was even a mini zoo at one point, filled with exotic animals. I took a look in the huge dining room where Elvis would always sit at the same table (bottom right hand side of the room). 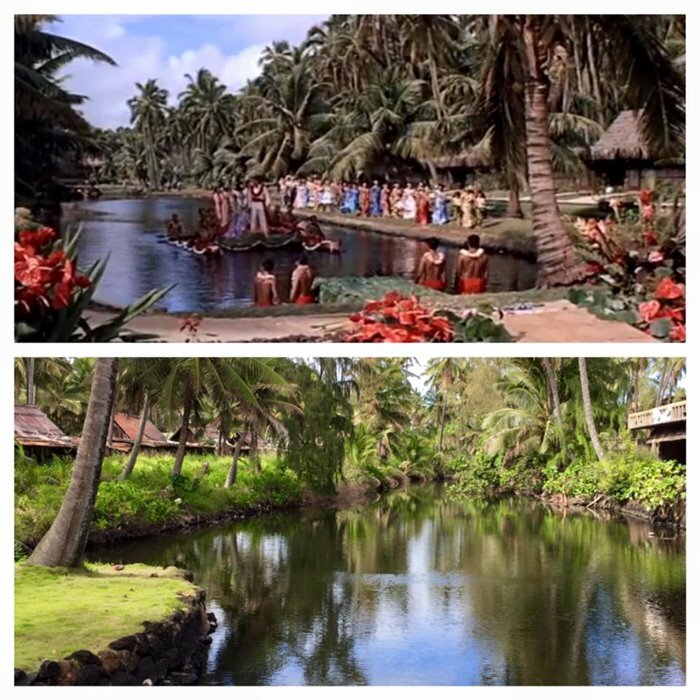 However, the lagoon where the infamous wedding scene was filmed is still as beautiful and serene as ever. It has been maintained as many weddings have been held there since. It, remarkably, looks the same as it did when Elvis sang the Hawaiian Wedding Song whilst floating up the lagoon on a huge platform (which I learned was pulled along by an electric cable under the water – so much for those rowers!). We passed by some other old buildings that stored very old chairs, menu boards, tables etc. And the chapel that Elvis and Maile kiss in front of at the very end. Well the tour was over and even though a thrill for me because of its Elvis ties, it is also very interesting for the regular tourist, as this site has been used for many a film over the years – from Rita Hayworth’s 1953 “Miss Sadie Thompson” to Johnny Depp’s “Pirates of Carribean. 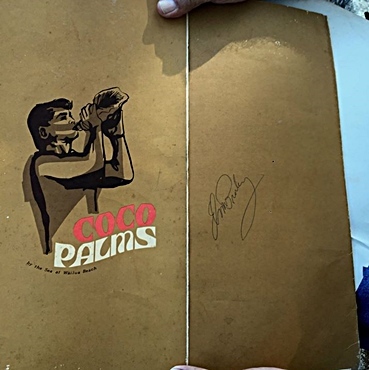 Bob had dozens of stories to tell about Coco Palms and its ties to Hollywood, movie stars, singers and royalty. After many, many years of council meetings, different owners and different plans, the current ‘new’ owners are affiliated with the Hyatt group of hotels and plans are finally underway to restore the Coco Palms back to all its former glory. It will be a massive undertaking, but one can only imagine how grand it will be once it is finished. Sadly, there are no plans to restore Elvis’ bungalow, or any of the bungalows used in the film. They are in such a poor state, to bulldoze them would be a wise alternative. Renovation plans are in place only for the main building and its hotel rooms. As I was about to bid my expert tour guide Aloha, Bob said he had one final thing to show me. 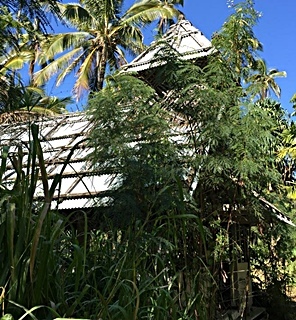 He produced a couple of original menus from The Lagoon Dining Room at the Coco Palms. One was autographed by Anne Francis, the other by Shirley Temple Black. Then he showed me a third menu – mint, pristine condition, there was Elvis’ autograph. He had signed it for one of the waiters in the restaurant. Unfortunately it was a boomerang and it went straight back to Bob – but at least I got to hold it for a second! PS - Fans please note that a few months later EIN's Sanja Meegin became the lucky owner of this fabulous autographed menu. It is NOT for sale! Bob had one final surprise for me, and this one I could keep. One of the 24carat gold plated tiles from Elvis’ Bungalow. To say I was gobsmacked was an understatement! I was beyond thankful to have not only a little piece of history from this Kauai Camelot, but to have a little piece of Blue Hawaii to treasure for ever. 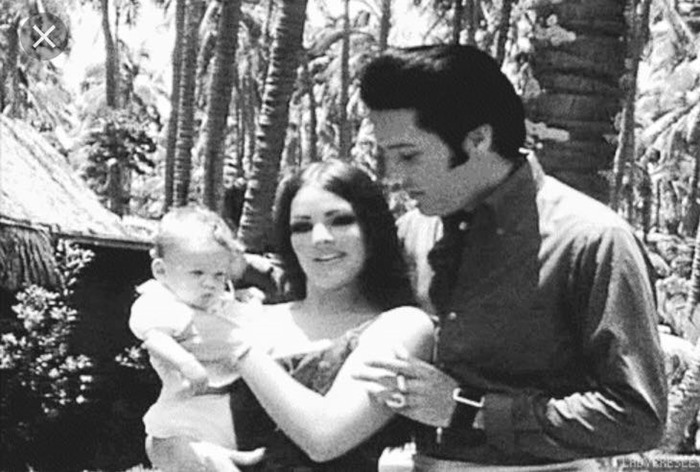 And fans can also now own their own little piece of Elvis history – each tile is framed in a lovely shadow box, along with a letter of authenticity and photos of Elvis inside the bungalow and on the grounds of the Coco Palms. If you are interested in owning one – please visit www.elvisatcocopalms.com for further information. 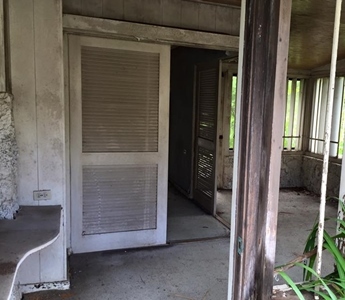 If you would like to take this incredible tour of the Coco Palms resort, go through Elvis’ bungalow and see all the other Blue Hawaii sites before it is restored and re-opened as a Hyatt resort in 2017 – visit www.cocopalmstour.com or drop Bob a line at tourguy@hawaiian.net Reservations are not required, just show up at the hotel on any weekday at 1.45pm. The address is 4-241 Kuhio Hwy, Kapaa, on the beautiful island of Kauai. It will be the best $20 you have ever spent! Newly added photos from April 2016. 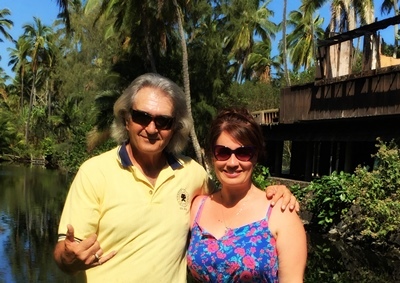 Back in February 2012, Sanja Meegin checked out some more famous Elvis Hawaii Oahu sites such as Pearl Harbour, The Ilikai, The Polynesian Cultural Centre and Hilton Hawaiian Village. See below for her previous reports. 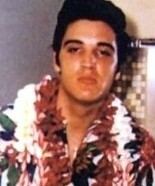 Aloha From Hawaii 2012: In August this year Sanja Meegin returned to Memphis for her 14th electrifying Elvis Week. Ten days of burnin' non-stop fun, meeting up with some of Elvis' best friends and soaking up the fabulous atmousphere. So where else to go afterwards for the perfect wind-down but a week in beautiful Hawaii? 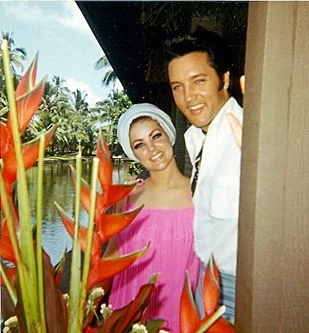 Go here as Sanja brings us her fascinating Aloha Hawaii report and once again searches out some fabulous Elvis destinations - including Elvis' 1977 holiday house, the famous "Chinaman's Hat" palm tree, inside the HIC arena and even his Aloha dressing room! As always the locals have some secrets and stories to tell about Elvis. 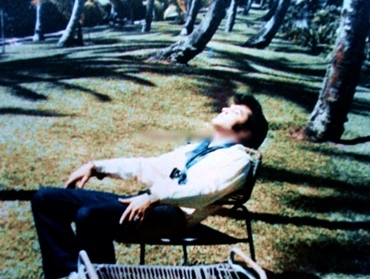 In search of Oahu Elvis, 2009: It is no secret that Elvis loved Hawaii and its people. He vacationed there on many different occasions and was personally involved in raising money for their charities. 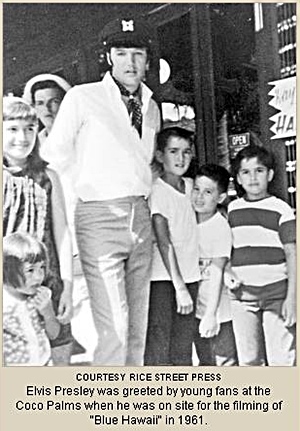 On her 2009 visit to the spectacular islands, EIN contributor Sanja Meegin checked out some of the places Elvis vacationed, filmed and performed during his many visits to this beautiful island. On her travels around Oahu, she was pleased to find that Elvis is still fondly remembered by many of the locals and his memory is still very much alive. 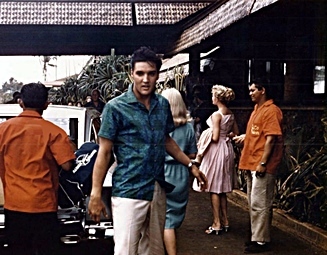 Click here for some great photos and insights into Elvis In Hawaii. Elvis Week Through The Years - Sanja Meegin looks back: EIN's Sanja Meegin has been to Memphis and attended Elvis Week 13 times in the past 15 years. During that time she has witnessed great concerts as well as met up with many of Elvis’ family, friends, colleagues and acquaintances. For the past decade Sanja has done her best to get to every concert, book signing, ceremony, convention, appearance and memorial that she could manage and report back to EIN for those who couldn’t be there to experience it for themselves. Of course that hasn’t been easy when combined with the excruciatingly hot Southern summer temperatures, the lure of cocktails on Beale Street and keeping the hours Elvis kept whilst there – party all night, sleep all day - but she has done her best! - Part of our EIN 100th newsletter celebration! Go here as Sanja looks back at her fifteen years of visiting the Promised Land and Elvis Week.